Many people we speak with are not aware that a Dog Trainer needs no formal education or credentials. Dog Training is an unregulated industry. This means that anyone can hang out a shingle and charge for services as a dog trainer. Assuming you don’t want just “anyone” providing training for your dog, here are some tips for choosing the right dog trainer for you. Many dog trainers do not possess any formal training. Many people become dog trainers after experience with training their dog for the show ring or sport. What we’ve found is that this often does not translate well to training a dog to be a great family member. 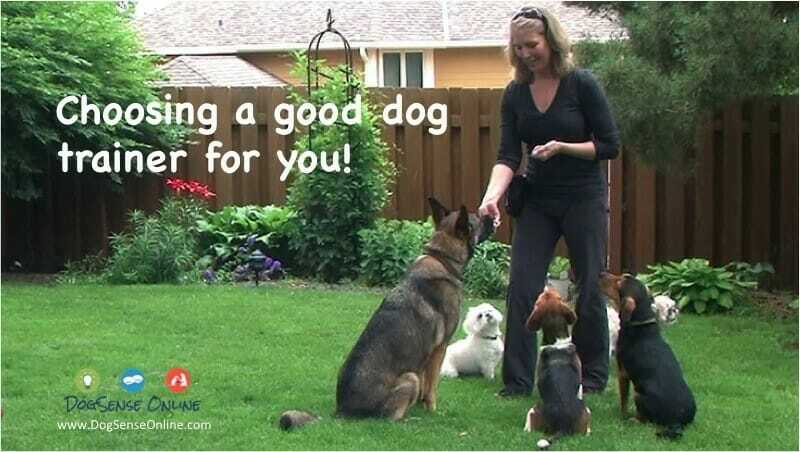 4 Paws University provides a great explanation of why the dog trainer you choose matters a great deal. Show dogs, competitive sport dogs and dogs being trained for winning ribbons most often are not what the average dog parent wants or needs. As a dog parent, you are in search of information for prevention of known dog problems and solutions for your every day issues with your dog. So, how do you choose a dog trainer that’s right for you? Experience is not enough! One can have 10 years of experience doing things based on their personal biases. It does not mean they have an understanding of how dogs learn or the risks known that arise from using aversive techniques in training dogs. The good news…there is a better way.